I really enjoyed the first book in the series – but may just have enjoyed this even more! I guess the team were all familiar to me, so I knew their foibles, and undoubtedly liked Richie a lot! Newcomer Melissa also falls for his intelligence, and finds his skills to be utterly charming. As the chemistry envelops them in an unexpected cocoon, can they also deal with the danger that their careers provide? I loved the flying, the danger, the bravery, and the subterfuge – all adding together to bring a clever plot and exciting story to a great end. And the romance was perfectly entangled in the action. I am a very happy reader. Hopefully Mr. Buchman is busy creating the next in the series, as there are still single men who have secrets and desires to be released...and always more baddies who need bringing down! 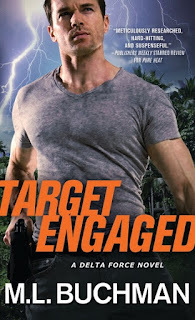 For reviews & more info, check out our Target Engaged post. M.L. Buchman has over 40 novels in print (and an ever-expanding flock of short fiction that seems to be breeding on its own). 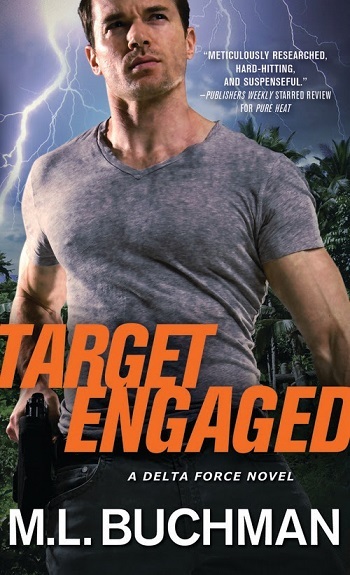 His military romantic suspense books have been named Barnes & Noble and NPR “Top 5 of the Year,” nominated for the Reviewer’s Choice Award for “Top 10 Romantic Suspense of 2014” by RT Book Reviews, and twice Booklist “Top 10 of the Year” placing two of his titles on their “The 101 Best Romance Novels of the Last 10 Years.” In addition to romance, he also writes thrillers, fantasy, and science fiction. 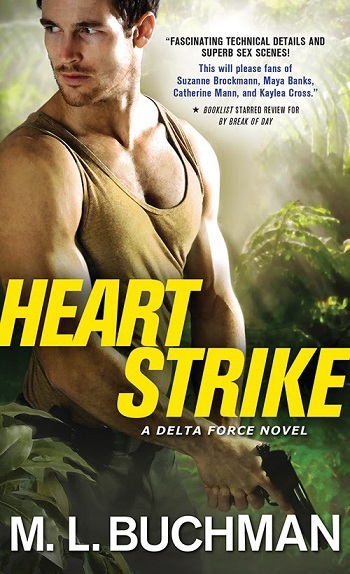 Reviewers on the Wicked Reads Review Team were provided a free copy of Heart Strike (Delta Force #2) by M.L. Buchman to read and review.